Erin Isakov, co-founder, designer and creative director of Erin Snow, pictured left, is a woman who seems to have entered the world fully aware of who she wanted to become and is doing it today with passion and with purpose. Vintage skiwear has been on her mind since she was a child. Today she bridges her love of heritage style with a deep commitment to responsible materials—weaving together a story of style, function and thoughtfulness. As she celebrates 15 years in the luxury skiwear industry, a recent collaboration with the Woolmark Company on a capsulte collection coming out for Autumn/Winter 18/19, and her inaugural grand prize from CFDA + Lexus Fashion Initiative for her work in sustainability in the fashion industry, we had a lot to talk about last week when we sat down for an interview. Come along and listen in. SGB: How did you get your start as a skiwear designer? 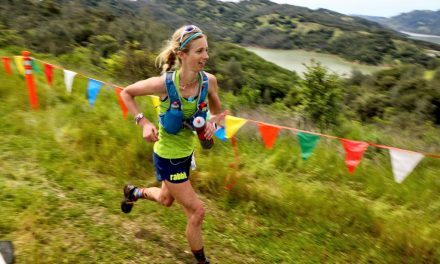 Erin Isakov: I grew up in Southern California and started skiing as soon as I could walk. My father was a ski patroller in the mountains of Southern Cal. 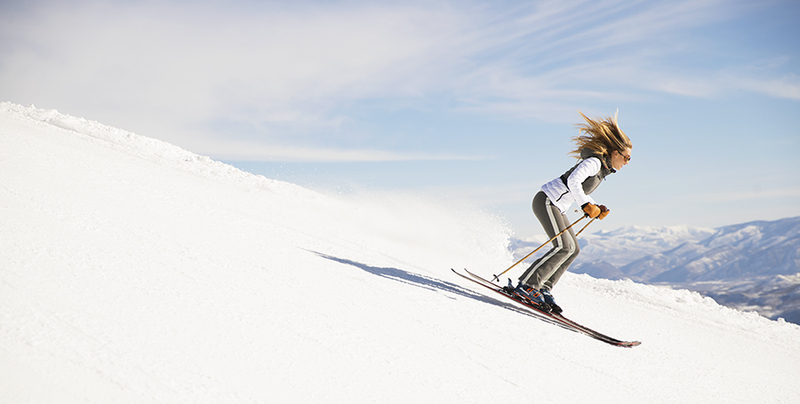 Skiing is the core of our family and my passion. And we were immersed in the outdoors as young kids. After graduating with a degree in fashion, I worked for fashion brands in New York in the early 2000s, and most of my weekends I spent driving to Vermont to ski and snowboard. At that time the fashion component in ski apparel had fallen off and did not represent my favorite vintage ski styles. I believe that fashion is very transformative, and I felt like that could be phenomenal for women in sport, too. Putting them into something that fits them really well and instills in them that sense of confidence to push the boundaries. I was compelled to start my own brand with that point of view and bringing the sense of style, tailoring and fashion to a ski sport brand at a time when skiwear was not considered fashion. SGB: When was the company founded? EI: My husband and I started Erin Snow 15 years ago, and we’re very much a women’s cult skiwear brand with loyal buy-in through high-end specialty retail ski shops in cities across the U.S. and Canada. 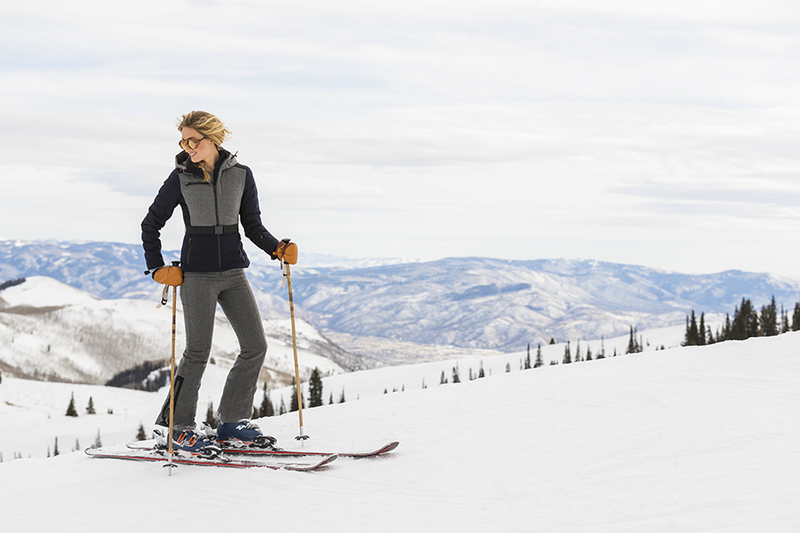 Our brand is equally suited for skiing in Park City or walking the streets of Manhattan. 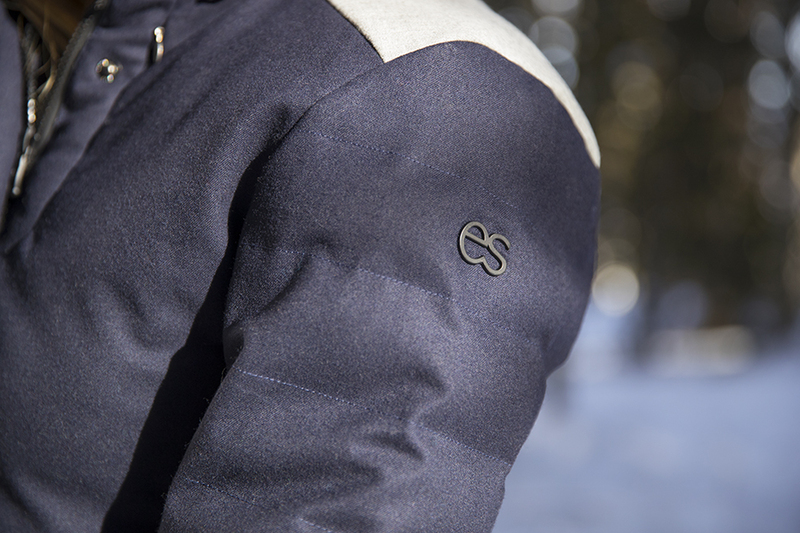 We design well-tailored performance pieces that can stand up to the elements in an urban or mountain setting. What distinguishes our brand is that we oversee every component of our garments, and that ties into our deep commitment to making garments the right way. Every material item that goes into our garments–whether the merino wool or the snaps–we personally source. We ensure that all of our materials comply with our requirements for chemical and material safety, and that all of our sewing facilities comply with our workplace code of ethics. As a brand, we are committed to raising the bar for ethical production and sustainability in the fashion industry as a whole and trying to push forward and drive innovation and new material uses and technology and thinking toward making products better. SGB: Sustainability is a key word for most brands in the active lifestyle industry today. Do you see clothing with a purpose coming to fruition, or do you think it’s a lot of speak? EI: I think it’s both but in a good way. Our brand has grown from an idea and a love for skiing to a brand that is in line with how I think about design, how clothing should be made, and how designers should be pushing for innovation and making things that perform for people as well as the planet. We have always worked this way at Erin Snow, but it’s only been in the last five years that we’ve been telling our story, because before there was no interest from retailers or our customers in learning about what we do or, in some ways, it would have been detrimental or considered a negative if we told buyers we were using recycled materials in a luxury garment, which is so interesting if you think of where we are today. It’s almost a necessity. 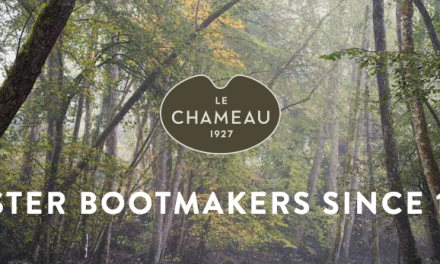 The good thing is that the tide of sustainability has risen, and there are brands that are doing things more intentionally–which is far greater in the outdoor market than the overall fashion industry. But a lot of companies are using the same tag lines but don’t really know how to make products intentionally, and don’t see the entire process, and that negates some of its purpose. You need to own and realize that it’s not about just making one fabric change in your collection, highlighting that, but really attacking every piece and not being afraid to own up and look at every component of your product and your brand from how you run your business and how people are treated in the production of your product. Really owning it and opening your eyes to the whole picture, educating yourself and your staff. Because the tide has risen, most brands are adopting some of these principals and as more of these materials and innovations are made commercially for everyone–because of the work that a few brands are doing–that will improve more. There is a lot more good work being done in the outdoor market but, unfortunately, a lot of the materials we use in sport have been highly offensive to the environment. Some brands are doing it very well, and then there are brands rushing into the market making inexpensive garments that are not made well or good for the planet. But compared to five years ago, there has been a significant improvement, and I am excited as a designer. Today, there are so many material options available thanks to companies like Patagonia and others deeply committed to the environment and with the resources to invest and work with factories and mills to develop new ways to remove toxins out of recycled fibers that could not have been done years ago, and all of this is available to us as a small brand, too, thanks to a few that have pushed for it. SGB: What led you to create a capsule collection with Woolmark? EI: We’ve always used Merino Wool, and wool has always been a part of my design vision representing the glamour and style of the wool-clad skiers in the golden age of skiing. People wore wool ski pants and wool sweaters but, unfortunately, wool got a bad rap because the type of wool used at the time was scratchy and smelled badly when wet. When synthetics came along, wool disappeared. When I started Erin Snow, we worked with Schoeller fabrics, and they were making a merino wool-bonded fabric. I was thrilled because it was exactly the wool fabric I was looking to use to make an in-the-boot ski pant that resembled the beautiful ski pants from the 60s but modern with performance for today’s customer in mind. I made ski pants from that fabric, and my buyers at the time thought that I was completely insane. Schoeller was also shocked that we used the wool fabric in a ski pant. They hadn’t thought of it as a bottom fabric. As a small brand, we tend to be ahead of the trends–always innovative–and use new textiles before bigger brands will, because I can experiment as the designer and owner of the brand. If I want to try something, I just do it. 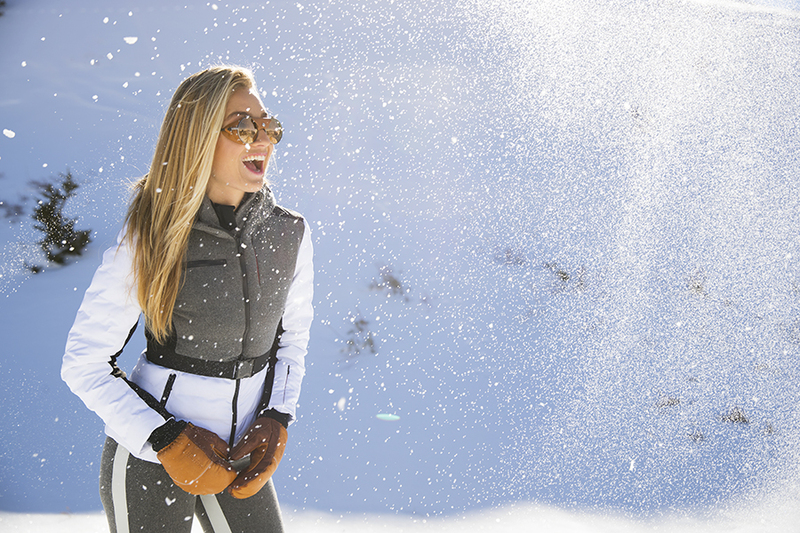 Now, obviously, plenty of brands are making wool ski pants. I like to claim that Erin Snow was the first to offer it in a modern way. If you ask some of our buyers, they would confirm that. 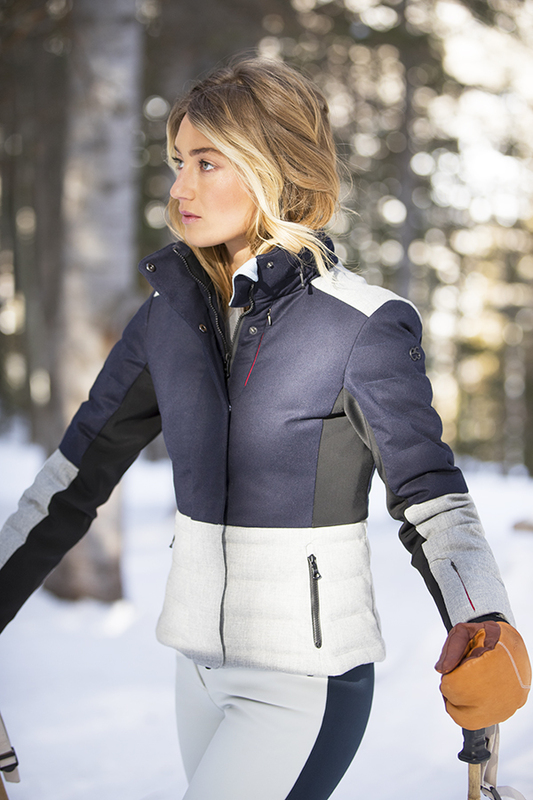 SGB: Merino wool then has always played an important role in the Erin Snow brand? EI: Yes, I’ve always used the material. It was not a stretch for us to collaborate with Woolmark. It came about because we were the grand prize winner of the innagrual CFDA + Lexus Fashion Initiative for our work in sustainability in the fashion industry beating out larger and more well-known fashion brands. Afterward, Woolmark came to us about collaborating because they knew I was a giant fan of merino wool. 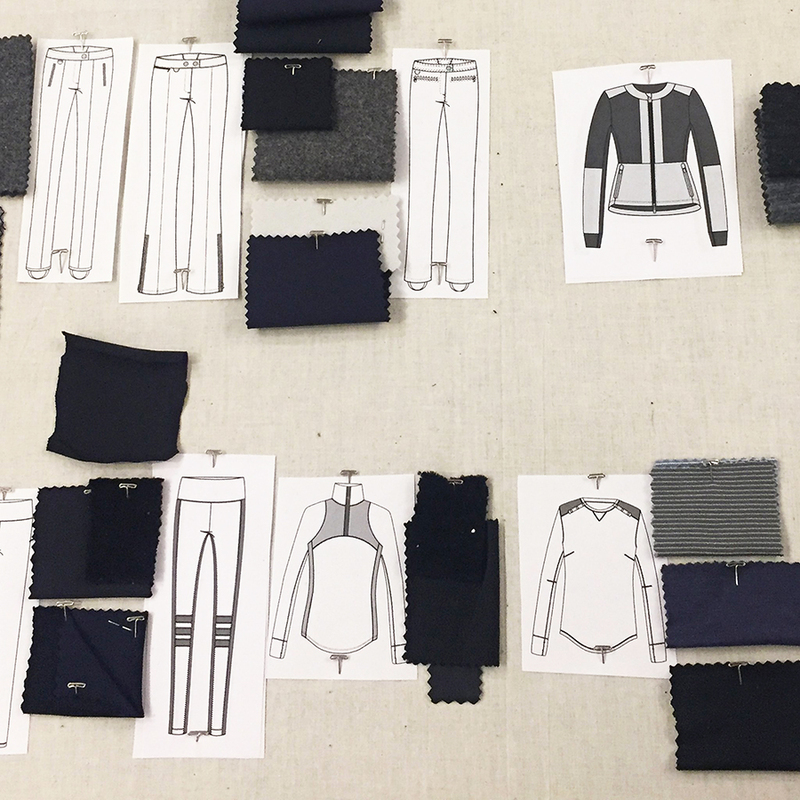 We jumped on the opportunity and created a 12-piece capsule collection using Merino wool in waterproof, insulated outerwear, ski pants, bonded softshell merino wool ski pants, knit base layer tops and leggings and a fleece jacket. 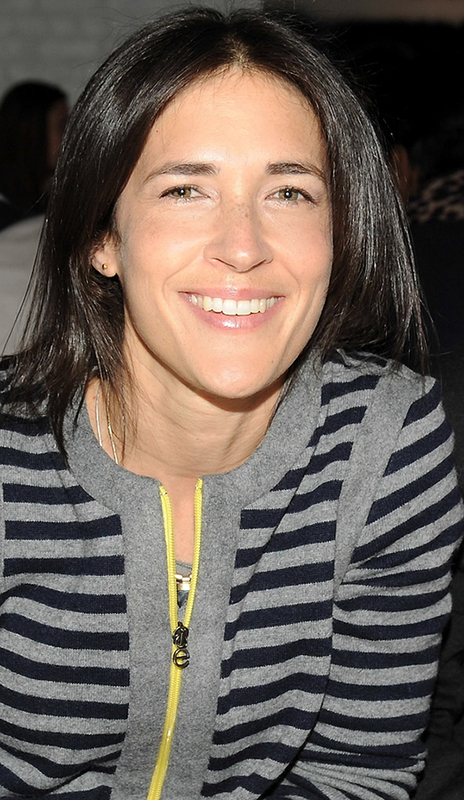 We will launch the collection on Net-a-Porter, which is going to entirely change the reach of Erin Snow to a much larger global consumer base. SGB: Will the Woolmark collaboration launch as a co-branded collection? EI: It’s mixed in with the Erin Snow collection. Some of the silhouettes we’ve been manufacturing for a long time and some are new to the upcoming winter season. It has an Erin Snow label with a hangtag that says ‘Supported by the Woolmark Company.’ All of our pieces we consider items, which means you can buy any piece and wear it with a multitude of other pieces from our collection. The Woolmark pieces merchandise back in with the entire Erin Snow collection. But to be specific, the capsule collection consists of 12 pieces ranging from pants, mid-layers and outerwear, using a time-tested and proven performance fiber in new and interesting ways. Merino wool also supports our sustainable mandate. It’s composed of a natural biodegradable protein. It’s also renewable, as Merino sheep naturally produce a new coat each year. SGB: Your ski collections do have a vintage feel. Do you draw your inspiration from historical references? EI: Absolutely. We don’t reinvent or change our style every season. We have a core esthetic that we have stuck with from the start and that has centered around the 60s and 70s downhill ski racer esthetic–clean, timeless lines. As a designer, I pride myself both in the sense of timeless but also longevity of garment use. Most of our best-selling styles have been selling for between five and 10 years. The Jes Pant, for example, our in-the-boot, soft shell, vintage-inspired ski pant, I designed 12 years ago. And it continues to be our best seller. I look to the vintage, beautiful, timeless, not overly designed style, and those images and design esthetic look as good today as when they were first designed. Our pieces are pieces you will wear forever. SGB: The Jes Pant could be worn to ski or on the street to grab a coffee on a cold winter’s day. EI: Exactly. We have customers who buy two to three pairs every season in different colors because it’s their everyday pant especially for women who live in cold climates. 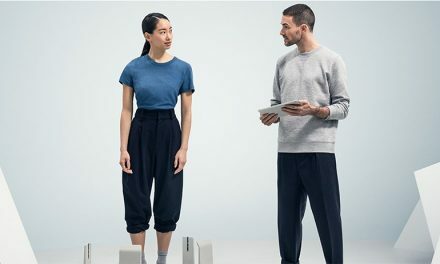 It’s an incredibly versatile pant, and the beauty is not only can you wear the pant for whatever the occasion, it’s a pant that’s made for performance and sport. Women get hooked on it because it not only fits beautifully, but you can wear it all day long and it doesn’t lose its shape. The pant is breathable, wicks moisture, doesn’t lose its color, snag or pill, will keep you warm when it’s cold, is machine washable in cold water and all you need to do is hang dry. It’s the whole story of Erin Snow wrapped into one pant. SGB: You are both an experienced fashion and skiwear designer as well as a business owner who knows how to translate a design idea into a finished product working with factories and buyers. A lot needs to come together. What advice would you give to young activewear designers today looking to start their own label? EI: Don’t over expand too fast, hiring a bigger staff than you need, stretching yourself beyond the core of what’s really important to your brand in both product and resources. Keep it small, simple, intentional, thoughtful and have a clear mission from the beginning so you are not wasting your time and your resources, energy and also not muddling your brands voice. Say ‘No’ more than ‘Yes’! 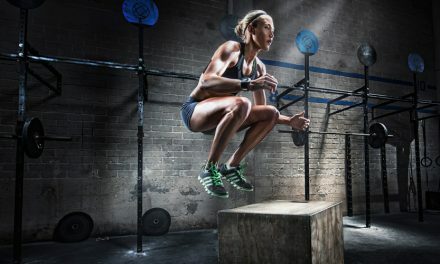 Fitness Trackers … How accurate is the data? Does it really matter?